The announcement of the Longines World’s Best Racehorse Rankings yesterday in London highlighted, among other things, how significant the European Breeders’ Fund is to Europe’s racing industry. In the two-year-old category, 25% of the horses in the top 20 were graduates of British EBF races and 90% of the top ten horses had won EBF races in either GB or Ireland before progressing to stakes racing. Europe’s third highest rated two-year-old ROARING LION (Kitten’s Joy), owned by Qatar Racing and trained by John Gosden won two EBF races last season at Newmarket before winning the Juddmonte Royal Lodge (Gr.2) and taking second place in the Racing Post Trophy (Gr.1) behind SAXON WARRIOR (Deep Impact). 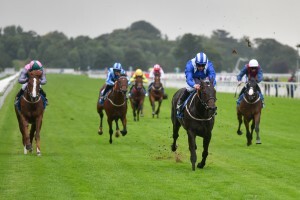 Gimcrack Stakes (Gr.2) winner SANDS OF MALI (Panis), ranked seventh in the list, was the winner of an EBF novice race at Nottingham in August for trainer Richard Fahey and owners The Cool Silk Partnership. Staying with Northern trainers, Karl Burke trained both UNFORTUNATELY (Society Rock) and LAURENS (Siyouni) to have their first wins in EBF novice/ maiden races before progressing to Gr.1 wins in the Prix Morny and Fillies’ Mile respectively. Rounding out the top 20, ELARQAM (pictured in the colours of HH Sheikh Hamdan), the regally bred product of FRANKEL (Galileo) and multiple Gr.1 winning mare ATTRACTION (Efisio), ended his juvenile career with a win the Gr.3 Tattersalls Stakes at Newmarket having won on debut at York in one of the British EBF’s Sire/ Dam Restricted Maidens. ELARQAM currently holds entries for the British and Irish 2,000gns in 2018 as well as retaining his place in the Epsom Derby picture. Further along the list, Royal Ascot heroine HEARTACHE (Kyllachy), Mill Reef Stakes (Gr.2) winner JAMES GARFIELD (Exceed And Excel) and July Stakes (Gr.2) winner CARDSHARP (Lonhro) were all featured and are all graduates of British EBF races. The British EBF invested well over £500,000 in two-year-old races in 2017, from Class 5 to Listed level; boosting prize money and spearheading the running of innovative schemes such as the Sire/ Dam Restricted Maidens, designed to encourage and promote the racing of juveniles with staying pedigrees. The British arm of the European Breeders’ Fund (EBF) has become an Official Partner of The Jockey Club, it was announced today, in recognition of the major investment domestic Stallion Studs make into British Racing via the British EBF. 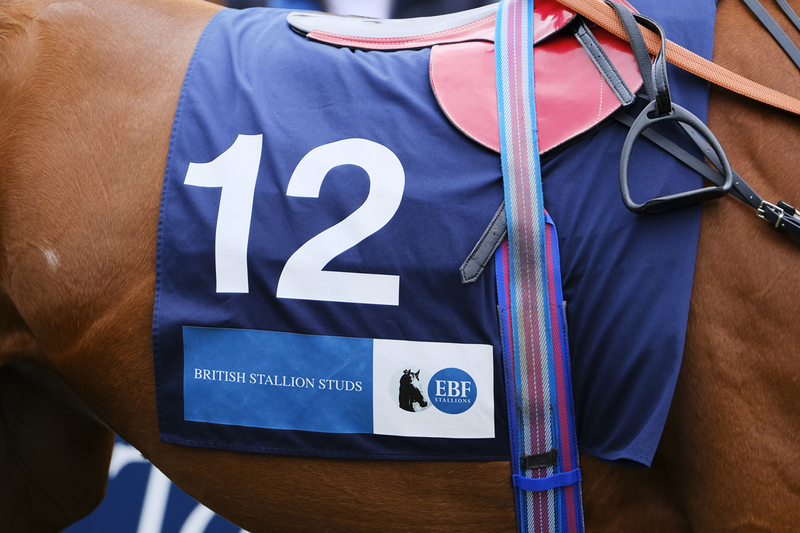 “The trustees of the British EBF are delighted that The Jockey Club is acknowledging British stallion studs and owners’ support of British Racing in this way. We hope that this new relationship will increase the profile of the organisation and further understanding within the industry as to what we do and how we are funded. The Fund is still a vital tool to boost prize money which we could not provide without the support and generosity of the stallion masters.